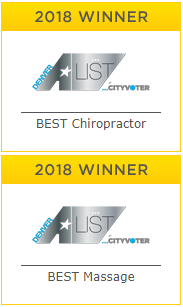 Chiropractor in Denver | Our chiropractors keep the pain away. Meet the Chiropractors at Moyer Total Wellness! 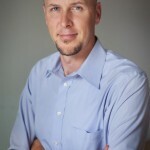 Dr. Moyer founded Moyer Total Wellness in 2009. 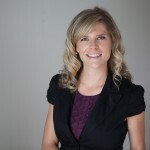 Dr. D joined Moyer Total Wellness in 2014 and specializes in headaches and spinal wellness. Dr. Moyer and Dr. Danelle are all skilled chiropractors that specialize in multiple areas including automobile accidents, wellness care, and tough cases like disc bulges and radiating pain. Chiropractic is the most widely used form of manual medicine in the world and the most popular alternative primary care in the United States. Chiropractic is safe and effective. Its is the #1 choice for neck and back pain in the United States. Reduction of pain in the neck, back, shoulders, arms, legs, feet, and knees through the relief of spinal pressure. Less stiffness in the areas that are treated. Less muscle spasms throughout the region. You will be able to think more clearly as there is less “Stress” going into the brain. Range of motion will increase in any joint or muscle being treated. You have better coordination and sports performance. You have increased energy, self esteem and you just feel better overall. You will sleep more deeply. There are additional benefits of seeing a chiropractor as well. When you realign the body as it should be, you relieve pressure throughout. It is proven by research, that seeing a chiropractor takes stress out of the body. This allows your body to heal as it should. Call 303-756-9355 to schedule your new client exam today.